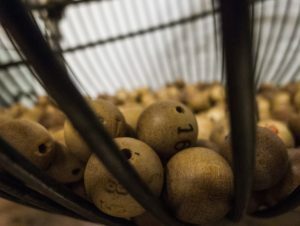 Earlier this month the Court of Appeals for the Federal Circuit ruled that a trademark applied for by the North Carolina Lottery, a state agency that has been operating a lottery in North Carolina since 2006, was not eligible for registration. The Examining Attorney initially refused registration of the trademark under 15 U.S.C. §1052(f). 15 U.S.C. §1052(f) forbids the registration of trademarks that are “merely descriptive” unless the Applicant can demonstrate the trademark has “acquired distinctiveness.” “Merely descriptive” trademarks are said to immediately tell the consumer something about the Applicant’s goods or services namely, a significant quality, feature, function, characteristic, ingredient, attribute, use or feature of the product or service. Trademarks are merely descriptive if they describe a single feature of the goods or services. Merely descriptive trademarks can be difficult to distinguish from “suggestive” marks. Suggestive trademarks suggest a desired result of using a product or service and require some level of imagination to infer the nature of the Applicant’s goods or services. Because the North Carolina Lottery uses the trademark to advertise games that come out on the first Tuesday of every month, the Examining attorney concluded the trademark described an aspect of the Applicant’s services and thus was “merely descriptive”. On appeal, the state agency argued that the Examining Attorney should not have looked to the text in its submitted specimens when analyzing the distinctiveness of the mark. Instead, the North Carolina Lottery argued, the Examiner should have determined what a consumer, with only a general knowledge of the Applicant’s services, would interpret the trademark to mean, without reference to explanatory text. The North Carolina Lottery argued that viewed in isolation, the words “FIRST TUESDAY” do not describe an aspect of its services, but rather a leap of logic would be necessary for the consumer to conclude that the trademark advertised services that were rendered on the First Tuesday of every month. The Court of Appeals for the Federal Circuit disagreed noting that the USPTO has a long-standing practice of looking at how the trademark is actually used and presented to the consumer when assessing the distinctiveness of a trademark sought to be registered. The Court reasoned that when analyzing a mark, the Examining Attorney is to determine what commercial impression the trademark makes on potential consumers, i.e., they must consider the trademark in its commercial context. In addition, previous rulings have established that the public’s perception of the trademark can be evidenced by any competent source of information. The North Carolina Lottery pointed to cases in which explanatory text was relied on by courts to conclude that the trademark at issue was indeed not descriptive of the applicant’s goods and services. However, in this case, the explanatory text cut the other way and demonstrated that the trademark was descriptive, in that it describes a feature of the services, i.e. that the games are made available on the First Tuesday of the month. The Court concluded that the relevant purchasing public would immediately understand the intended meaning of “FIRST TUESDAY” and thus the trademark functioned more to identify a feature of the Applicant’ services than the source of those services. As a result, the CAFC concluded the USPTO did not err in denying this registration. This case illustrates one of the dangers of not analyzing a trademark properly prior to using it to promote goods and services. A great deal of time, money, and energy can go into promoting a trademark prior to a determination the trademark is not distinctive enough to protect, leading to a lack of enforceable trademark rights. Consult a qualified professional to discuss your individual needs. Merely descriptive trademarks can only be registered if the applicant can demonstrate that the relevant population of consumers has come to associate the trademark with the Applicant’s goods and/or services, i.e. the trademark has “acquired distinctiveness. The issue acquired distinctiveness was not argued by the North Carolina Lottery.